Useful habits. Wednesday write-in. – Go ask Alisa – DIY capsule wardrobe one stitch at a time! After quite a long break I am making it back with this simple, easy to read piece. Nothing special at all, but it gets better as soon as you step back on your writing path. Enjoy! They say habits are our true selves. We are the product of what we repeatedly do: it shapes us, it molds us, it favors us as well as leaves us broken. There is no way to go around or behind it, habit is like a phoenix bird – burns first to be reborn again, in a new shape and form. For most of us every morning starts the same, and I am no different. I love to wake up, get my socks on (I hate cold floor!) and stumble into kitchen with my eyes still closed to put on a kettle. 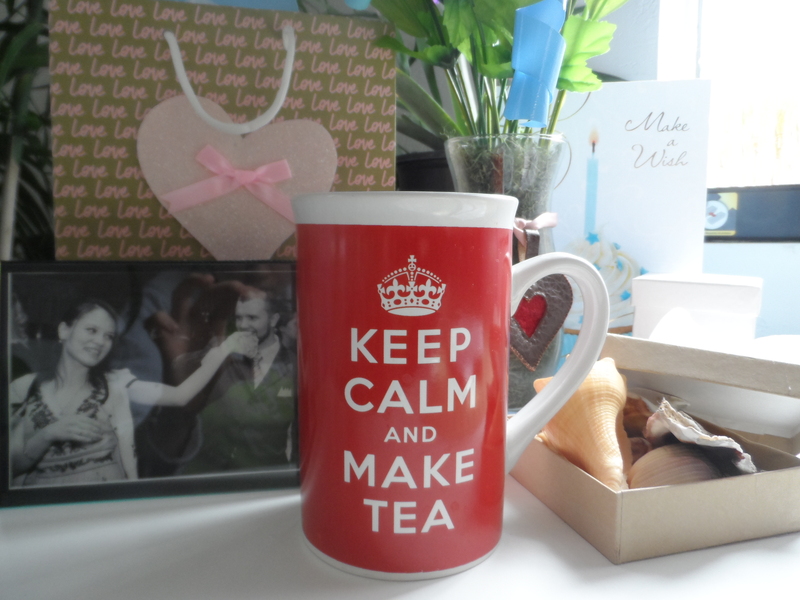 There is absolutely no way my perfect cup of Earl Grey will taste the same if I won’t brew it my favorite mug, the one that says: “Keep calm and make tea”. It has to be Earl Grey, it has to be this mug. I always drink my morning tea with milk, I never watch morning news, I eat slow and I always check my mail: electronic and the-real-one first thing in the morning. Exactly in this sequence. My habit commands that. If I was to recall that whole day in my memory then I would say it was one big murky misunderstanding. Everything went wrong, every possible detail. Believe it or not, reality or myth, coincidence or fact: sometimes your habits are your best friends and in my case it is the best to stick to them, for the sake of everyone. Great style. Lovely to read, and I really want to know what else happened that day. Oh, no! What is it about disasters that they always seem to happen in groups? I hope the day improved once the Alaska burn healed… 🙂 Charming style and engaging narration. What a day! Great read. Previous Previous post: The city I live in: Welcome to fabulous Las Vegas. Late night art. Next Next post: Sketch. Organizing thoughts.